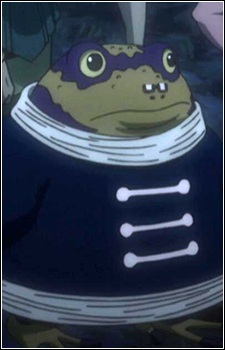 Frog (カエル) was a Chimera Ant resembling an anthropomorphic Frog. He serves as an officer in Leol's squad. Frog wears a simple dark colored robe and small red rectangular glasses.